My ATV is currently at my cottage so I don’t have access to it right now, I just want to figure out how to fix these problems. Alright last year I had the engine in my 2012 550 rebuilt completely after it seized. I did the tear down and bottom end assembly in my high school auto class, then I gave it to my dealer to finish it. I only did about 500km s after the rebuild last season breaking it in easy. One of the things I noticed was it would backfire every once and a while after doing a throttle pull with about 3/4-full throttle and when you let off it would backfire loud. If I am correct this is a lean condition? I brang it back to the dealer and they replaced the exhaust gasket on the cylinder head. The last time I rode the ATV in September 2018 it backfired once or twice the whole weekend. I have the service manual and read that a dirty spark arrestor could be causing this problem, so I wanted to remove it and I snapped off a bolt. The two other bolts also were starting to round so I just put it away for the winter. I’m going to bring the muffler to my school to get the broken bolt out, but I never did find out what the correct size socket to use on the head. Do you think a dirty spark arrestor would cause the backfiring? Anything else to check? The dealer tech said that a backfire every once and a while was normal which doesn’t seem right. Also When splitting the cases during engine tear down I got my auto teacher to help me and he nicked the mating surface where the cylinder goes on top of. The dealer tech said he noticed it and filled it in with some sealant. It was a very small nic out of the metal and it was only a few mm deep so I don’t think it would cause any mating issues. My next problem is the winch not retracting. When I bought the ATV used it had the same problem and the dealer fixed it and said it was just the switch. I don’t think they replaced it just fixed some wiring (I can’t remember) Anyway the winch puts the line out fine, but when the “in” side of the button is depressed nothing happens. 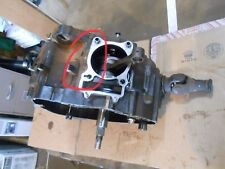 The picture I attached isn’t my engine just one I found on google, I circled the area where I remember the nic in the cases being. Last edited by Flemingo; 04-01-2019 at 12:56 AM. 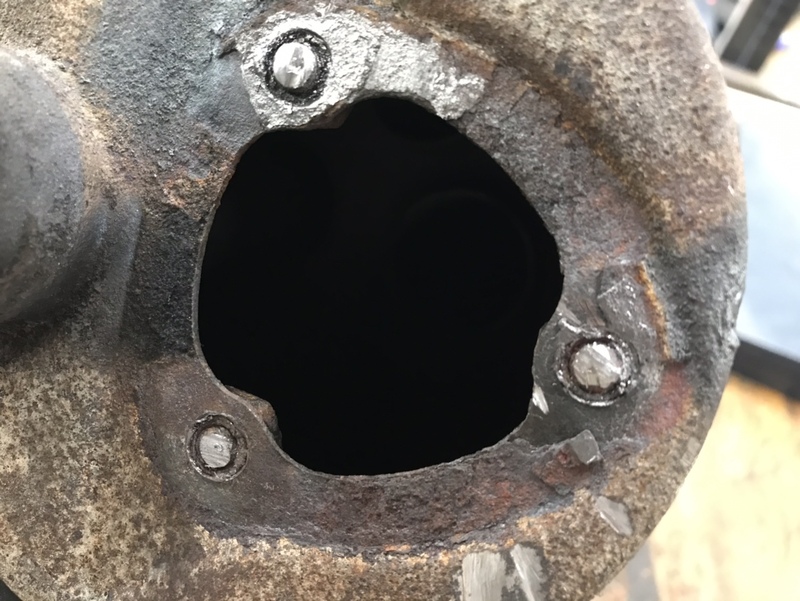 The spark arrestors always rust up and the bolts break. Not sure if that's your problem but check it out anyway. Seems a little counter intuitive to me but maybe it's the EFI compensating. I would check the intake system. Looks for loose clamps, cracks, etc. Anything letting air in that shouldn't be. Especially from the throttle body to the cylinder. Another common way to check is spray some starter fluid around the intake and see if the engine sounds different. If it does you know it sucked some starter fluid in and you need to fix/replace. Sounds like it's the switch on the winch. Testing the switch or winch is really easy. Use a voltmeter to test the switch. If it's not the switch then check the wiring. A bad winch typically won't move either direction. If you need to test the winch, I use a battery and jumper cables. First one way, then flip. Bringing the muffler to school tomorrow to get the broken bolt extracted. Does anyone know the head size of them? Also the thread size/ pitch and length? Tried heating the two bolts up but they just rounded over. 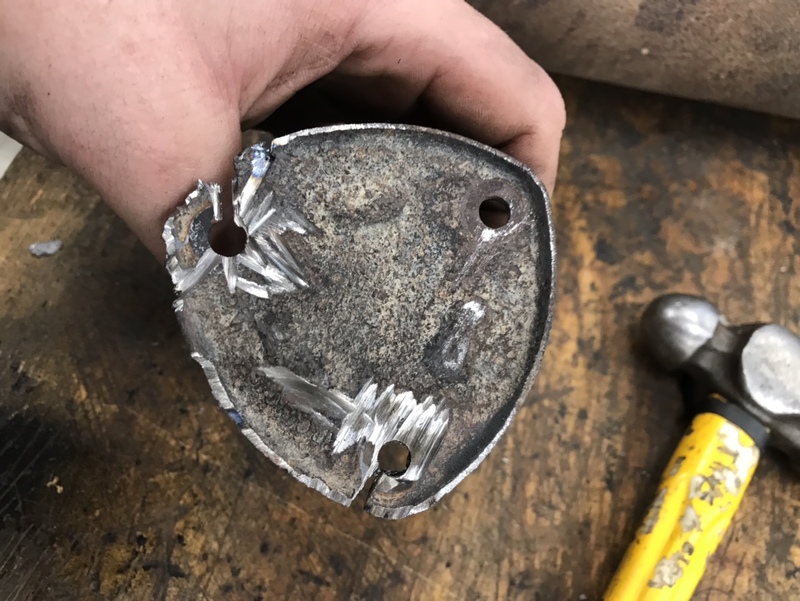 Ended up grinding the heads off. Going to drill and re - tap the holes tomorrow with the help of my shop teacher. Going to weld the damaged part on the spark arrestor cover to make sure it seals well. Going to get a new gasket from the dealer as well. Maybe in the future. For now just trying to get it back to stock to figure out this backfiring problem. 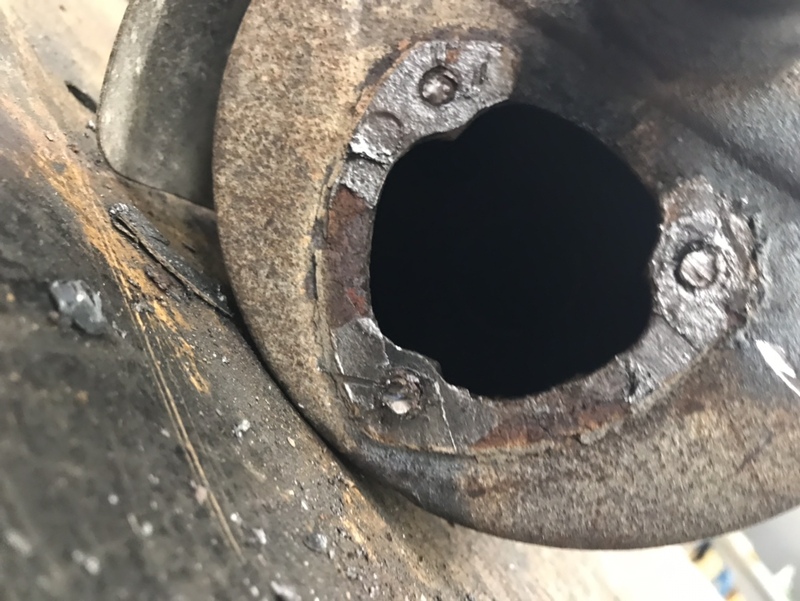 What should I use to clean the spark arrestor? Heat. Burn it with a torch. 550 EFI's run like crap if you do any muffler mods. 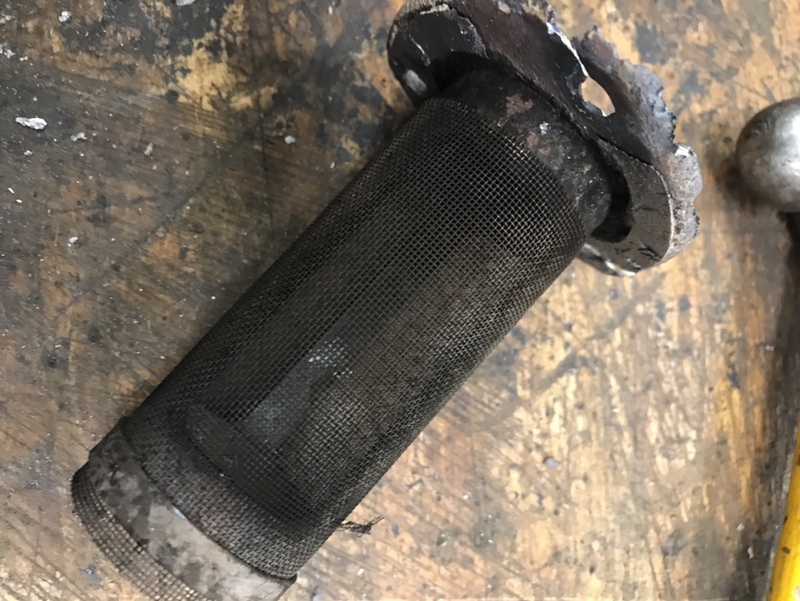 As for cleaning the spark arrestor, spray it with carb or brake cleaner and use a wire brush to get any carbon deposits off. When your re-tapping the holes, be slow and use lots of oil. There are metal blocks or nuts welded to the back of the muffler where the bolts go thru. It's a lot thicker there than just a inch away. We tried drilling them out and the drill bit wasn’t cutting well. My shop teacher said because they had been heated up. He said we can try removing them from behind with some vice grips. I don’t think that will work. He also said I could just tack the cover in and if it needs to come off to clean the spark arrestor again to just grind off the welds. I don’t want to do that. Hopefully we can remove them or drill them out so I can just use bolts. Didn’t give that much effort to try to drill them out because he was busy. I broke a few bits and taps so I just used self tapping screws in the thin spots... works fine.